1. Where can you find us? 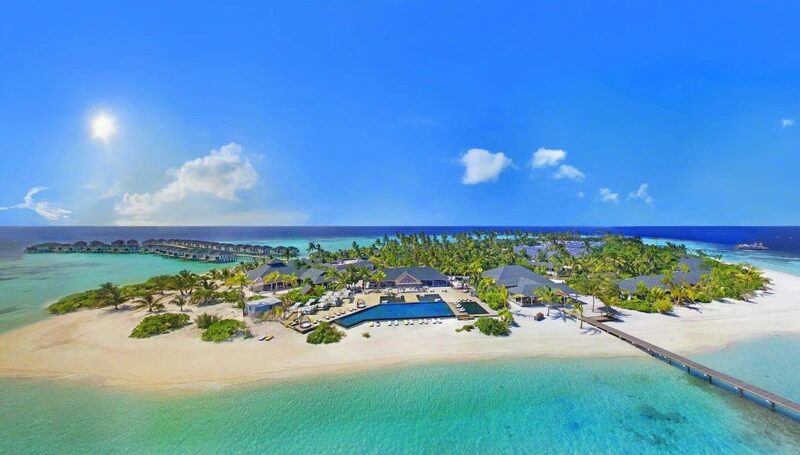 Located on a private island 400 KM south of Male, you’ll find Amari Havodda Maldives in the Gaafu Dhaalu Atoll. 2. How do I get there and much does it cost? 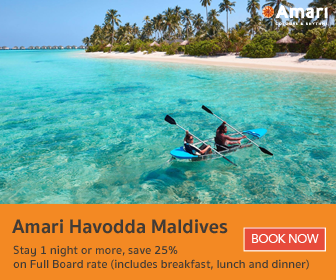 Once you land at Male International Airport (Velana International Airport), an Amari team member will warmly greet you and take you to the Airport Lounge located inside the domestic terminal, where you can rest up with free WiFi and an array of drinks and snacks while you wait for your domestic transfer. Getting to Kaadeedhdhoo Domestic Airport takes less than an hour. 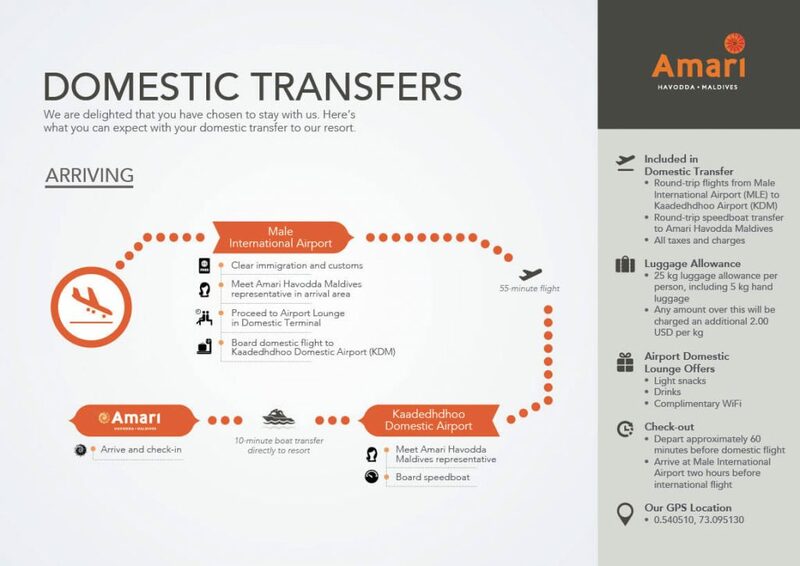 Another Amari representative will meet you once you land and take you to the speedboat. 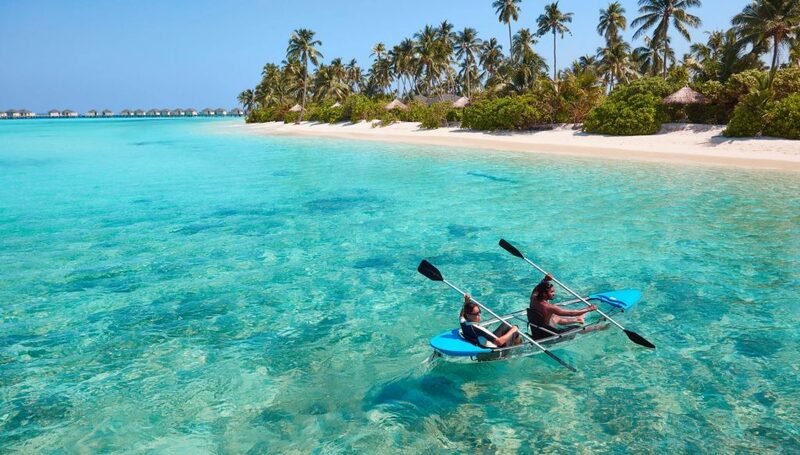 You won’t notice the 10-minute boat ride when you’re surrounded by the natural beauty of the Maldives. 3. What does full board mean? If you prefer a glass of wine with dinner or a cocktail by the poolside, we recommend upgrading your meal plan to All Inclusive. The mini bar in your villa will also be restocked daily. 4. What activities are available at the resort? 5. 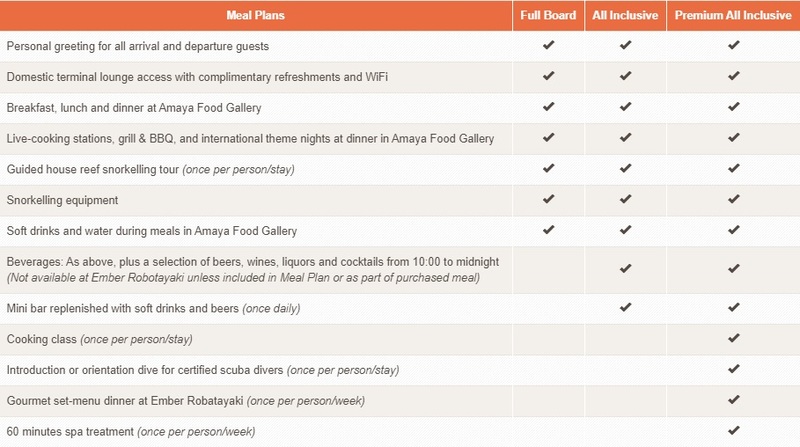 How many dining options do we offer? Choose from our four onsite dining outlets for your perfect culinary experience. 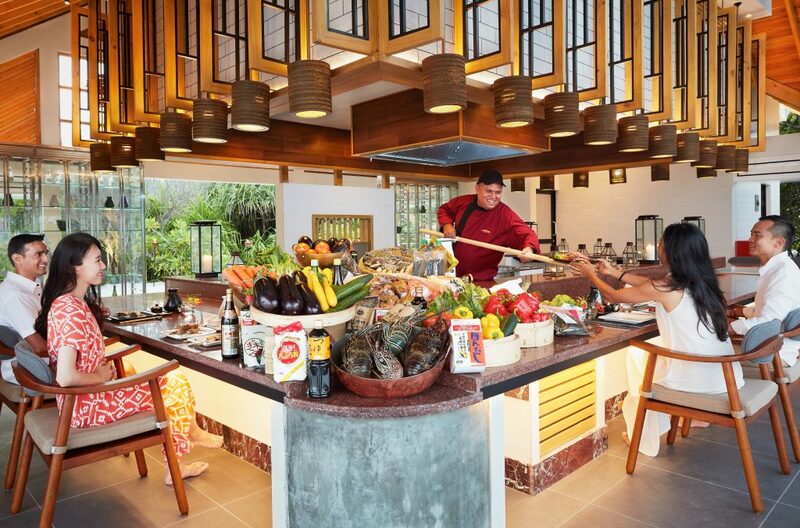 Amaya Food Gallery – Amari’ signature all-day dining outlet offers a diverse selection of Asian and International favourites with open kitchens and a market style venue. Ember Robatayaki – Have a taste of traditional Japanese fireside cooking at Ember. You won’t find fresher seafood! Thari Bar – Icy drinks and tasty snacks to share by the poolside. If there’s any spot made for an afternoon of relaxation, it’s Thari Bar. Iru Bar – This evening bar is only open for a couple of hours, but we guarantee gorgeous twilight views and starry skies with your drinks.